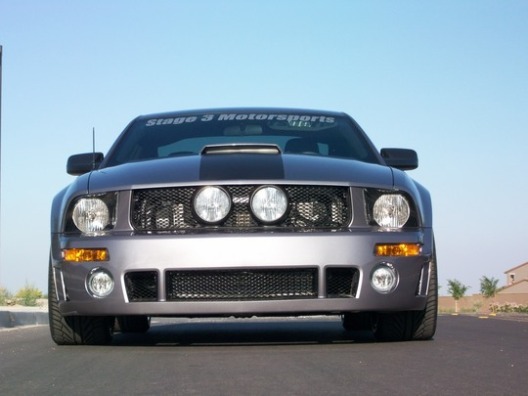 Stage 3 Motorsports 2007 Mustang GT "T-Roush"
In all honesty, it would probably be easier to list everything that we didn't do to this Mustang rather than our gigantic list of modifications. 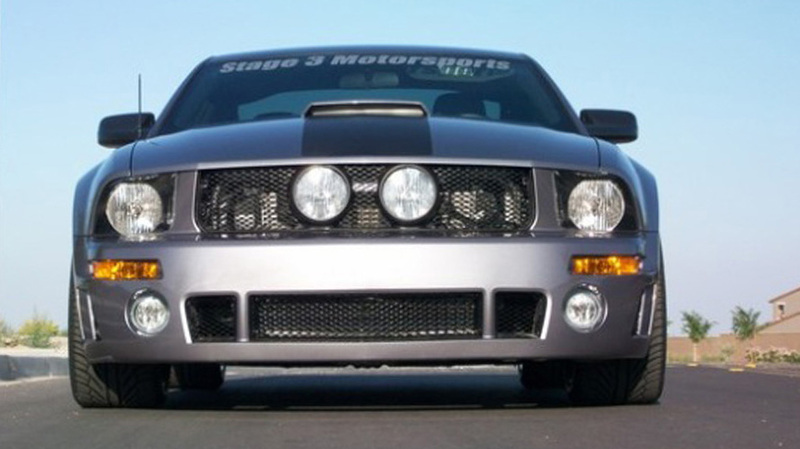 The "T-Roush" is a legendary Mustang here at Stage 3 and was our powerful, dangerous little pet for a few years. We threw everything and the kitchen sink at this 2007 Mustang GT, and other than its original paint and factory 3.73 gears, there's not much we didn't swap out along the way. As much as we miss this particular Pony, it's also one that put a feeling of utter terror in all of us. The smallest dab on the throttle, and this thing wanted to fly off the rails. 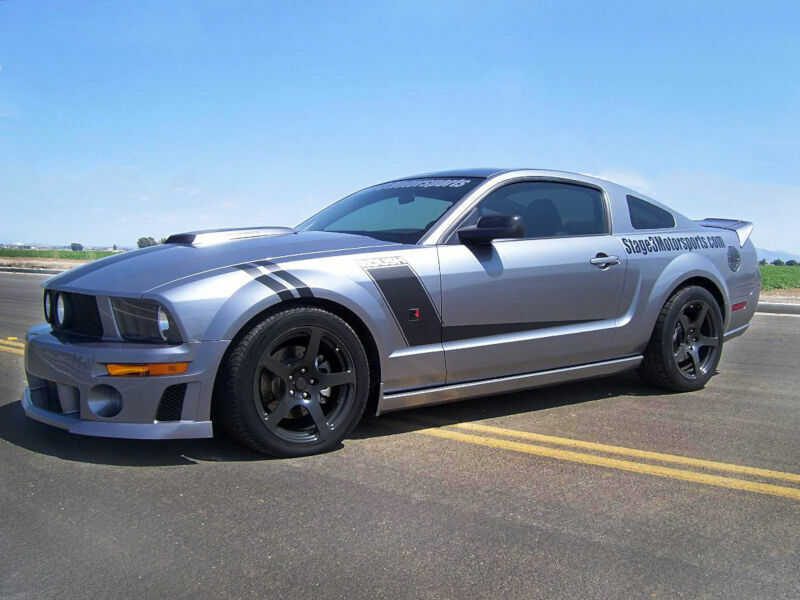 The cornerstone of this mighty project car was it's Roush TVS R2300 Supercharger kit that sat on a top of a Roush P-51 Short Block that could handle up to 800 horsepower. 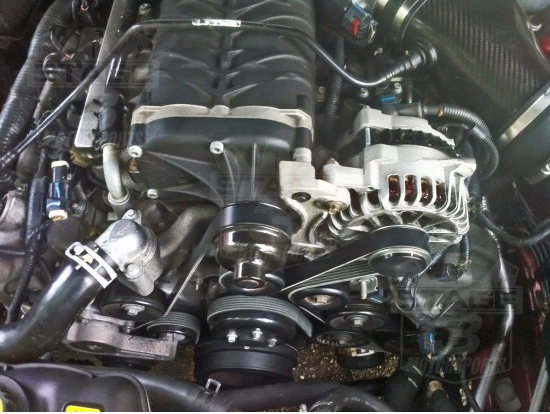 Granted, we "only" pushed it to about 650 horsepower at the flywheel with the help of some JBA long tube headers and mid-pipe, a smaller supercharger pulley, GT500 throttle body and cold air intake, and a vicious dyno tune from AZ Dyno Tuning. 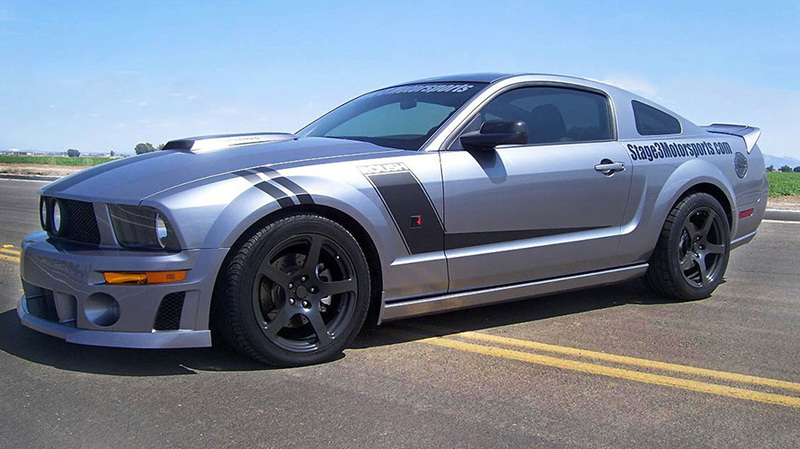 All of this power was transferred through a heavy-duty McLeod clutch and down to the wheels with the help of a fully-built suspension system that included upper and lower control arms, a watts-link suspension kit, Tokico D-Spec shocks and struts, Roush lowering springs, and Cooper tires. 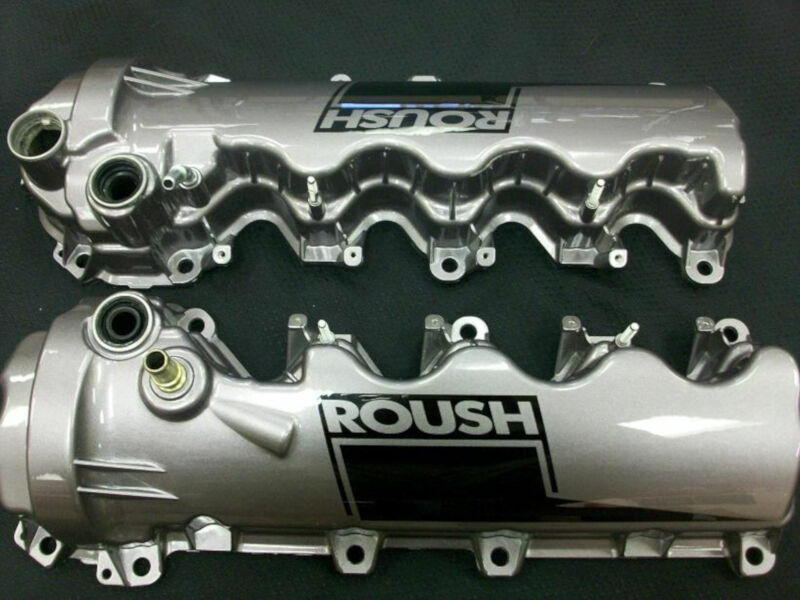 With some help from Baer, the T-Roush was able to come to a bone-shattering stop with their 6-piston front and rear brake kit. The Baer front and rear six-piston brakes were able to reduce stopping distance from 60 to 0 by 40 feet and stopping time by just over a second. 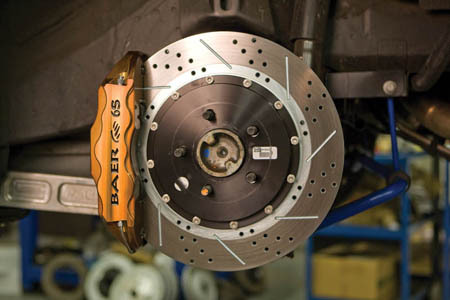 For the 100-0 stopping test, the stock brakes managed 423.25ft at 5.78 seconds, while Baer's kits produced 316.92ft at 4.33 seconds. 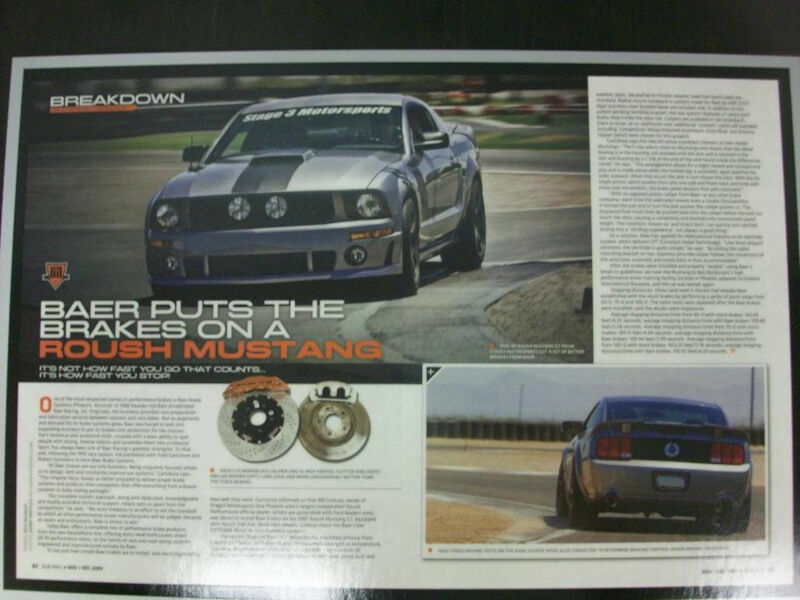 Baer's front and rear six-piston brake kits brought our powerful T-Roush to a fiery stop in practically no time. 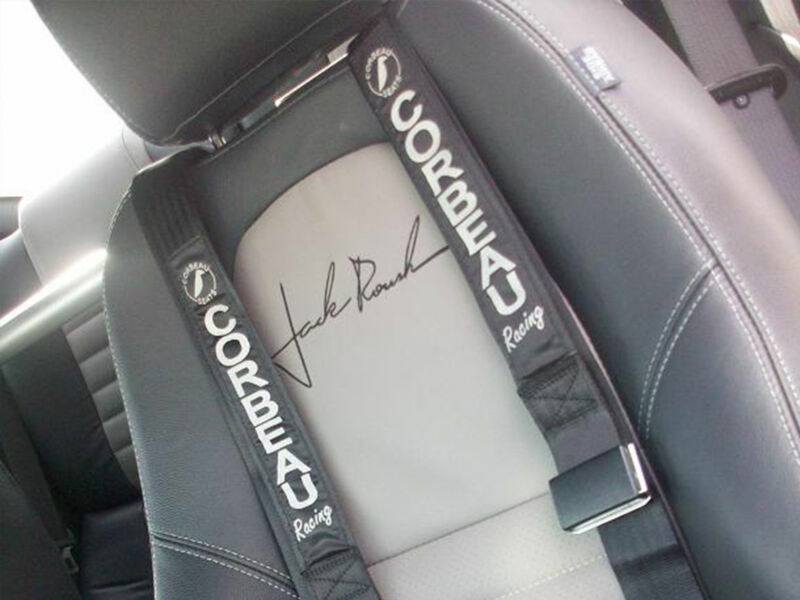 The T-Roush was our terrifying pride and joy and was one of the things that helped put us on the map.